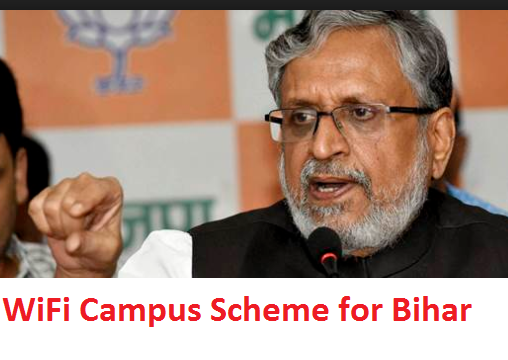 The Bihar state government has launched a scheme for the students this year. Under this scheme college students will get free WiFi in their colleges across the state. The scheme namely Free WiFi in Colleges will allow students to download books and study materials from external source up to 1 GB per day. Along with this scheme the state government will soon launch other net schemes under which rural areas will get access to the WiFi as well. During January 2017 the Chief Minister of Bihar Shree Nitish Kumar has launched Bharat Net Scheme under which the authority will provide internet services to many places across the state of Bihar including the rural areas. In the month of March the state government has announced about the free WiFi in colleges. On 22nd March, on the occasion of 105th year of Bihar Divas the scheme has officially launched by the Chief Minister of the state. As of now more than 20, 000 students have registered under the scheme. Aim of the scheme: The aim of the scheme is to make the students tech-friendly and also to encourage digitization, mainly in the rural areas. Many colleges in urban areas have internet access unlike rural colleges. This scheme will focus more on rural educational institutions. Free WiFi: The scheme will provide 10 GB data per month. Each student can download or use data up to 1 GB per day. The internet access will only be available for downloading books and study materials. Authority has stated that social network will be prohibited from this scheme. Tech Partner: Larsen and Toubro’s IT sector will be responsible for installing the routers and providing the constant connection to the colleges. Patna will have the command centre for the scheme. Number of colleges: There will be 29 Universities and 308 colleges in total that will be considered under the scheme. These colleges include medical colleges, management colleges and engineering colleges. Budget: Rs. 190 Cr had been allocated for the scheme. In this scheme Rs. 100 Cr has already been spent. This year Rs. 23 Cr has been allocated for the 308 educational institutions. Bharat Net Scheme is a broad concept scheme under the 7 Resolves by the Chief Minister Nitish Kumar in Bihar. Under this Bharat Net Scheme, all the panchayats across the state will be able to get access of internet in cheaper price. According to the state officials monthly 10 GB data will be provided to the rural people for using internet at 75% lesser price than the general data charges. For this solar panels will be installed in various places so that people all over the state can enjoy continuous data services. The target for providing broadband services is 6105 Panchayats across the state. As of now 4699 Panchayats have already covered in cabling and soon they will get the connection. On the other necessary equipments have also installed across 3161 Panchayats for the connection. During the election process CM Nitish Kumar has taken new initiative for socio-economic improvement of the state. The new initiative namely Saat Nischay or 7 Resolves is a sector based development program that will be initiated to make improvements in specific sectors. The following sectors are Women Empowerment, Higher Education, Skill Development Programs, Electricity Connection, Clean Drinking Water, Toilet Facility, Road Connectivity and Drainage System. As of now few colleges in Bihar have free internet access for BCA and BBA students only. Apart from that few engineering students too have internet access to specific streams. The password for using net is given to the specific departments in these colleges. By implementing the scheme all the students will get access to the internet, hence they will be able to download their necessary study materials. To stop students from misusing the internet in colleges and accessing social network or pornographic instead of study materials, special care have been taken. All the social networking sites including adult content providers will be blocked by the WiFi source or command centre under the scheme.